2. 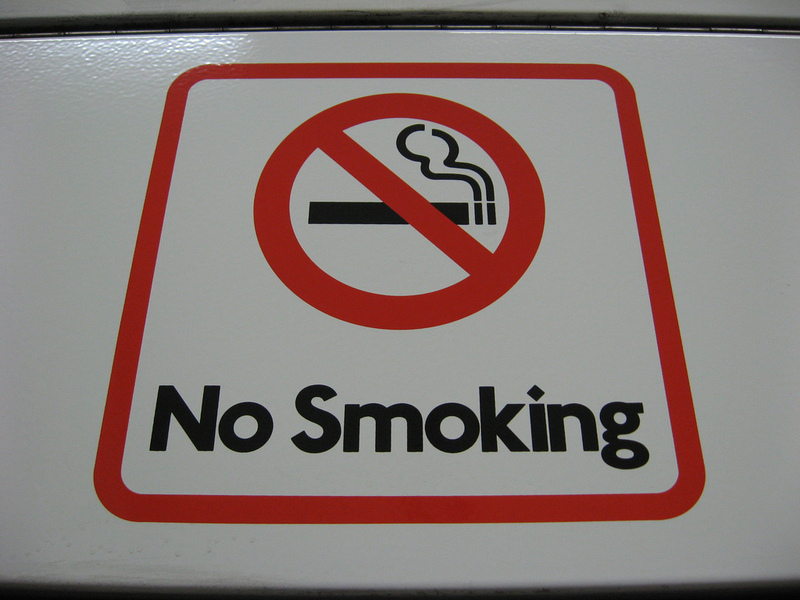 Based on overseas experience, are smoking bans an effective way to achieve these objectives? Being surrounded by a high number of smokers, making it very difficult to escape the smell of cigarette smoke. The justification for banning smoking in prisons is the same as the justification for banning smoking in other public places – to reduce the harmful effects of second-hand exposure to cigarette smoke of non-smokers (in this case, both other imprisoned people and staff). The harms to health caused by exposure to second-hand cigarette smoke are well accepted. Forced exposure to second-hand smoke is a human rights issue as well as a health concern. For example, forcing a person with chronic pulmonary disease to share a cell with numerous smokers in Romania was held by the European Court of Human Rights to breach the right not to be subjected to ‘torture or to inhuman or degrading treatment or punishment’. People in prison tend to have poor health overall, therefore it has been argued by health professionals that time spent in prison is an opportunity to assist them to improve their health, including by quitting smoking. In a nutshell, the stated reasons for banning smoking are to reduce the health implications of smoking for both smokers and non-smokers by reducing the prevalence of smoking. The most important difference between banning smoking in prisons compared to other public places is that people in the community have places they can still smoke – it is possible to smoke on the street as long as you are far enough away from buildings and bus stops etc. and it is possible to smoke in your own home and car. People in prison cannot leave, so banning smoking in prisons is equivalent to banning smoking in private homes – a step that no government has taken. This is why there have been some cases in overseas courts that have found that smoking bans in mental health institutions interfere with people’s right to privacy and home life. The other major difference is that people in prison do not have access to the same support for quitting as people in the community – they cannot phone Quitline, for example. They may be unable to afford the cost of nicotine patches and the Australian Institute of Health and Welfare reports that only 14% of people in prison undertake cessation programs (p.91). They also have less access to distractions, such as work, study and exercise, which are helpful when quitting smoking. Australia is not the first country to ban smoking in prisons. Bans have operated in some countries for many years. Smoking has been banned in US Federal prisons since 2004 and in Canadian prisons since 2006. New Zealand introduced a ban from 1 July 2011 and the United Kingdom is planning to do so from Spring 2015. The clear findings from evaluations of the effectiveness of smoking bans is that they do not eliminate smoking in prisons. It has been found that 76% of people in a US prison continued to smoke despite the ban, and 93% continued to do so in Quebec where an indoor ban applied. Closer to home it has been found that 58% of juveniles in NSW continue to smoke despite a ban on smoking in NSW juvenile facilities (p.347). Because there is less access to cigarettes and tobacco when bans are applied, black markets develop and violence and intimidation increases. As one person said after their release from prison – ‘I’ve seen someone nearly get killed over a cigarette’ (p.177). There are some other concerning implications of bans. They can mean that cessation programs are reduced or discontinued completely, and that there is no attempt to separate smokers from non-smokers (e.g. when sharing cells). The non-smoker cannot complain about their cell-mate’s smoking because this would be ‘dobbing in’. This would result in the smoker being subjected to disciplinary proceedings and the ‘dobber’ suffering retribution from the smoker and/or their friends. In short, smoking bans in other countries have failed either to rid prisons of smoking, or to comprehensively reduce the exposure of non-smokers to second-hand cigarette smoke. Given that smoking bans do not achieve their objective but also that the objective is a worthy one, it is worth looking for alternative approaches. Such approaches need to take into account some of the intricacies of the prison environment. Smoking cessation should be encouraged in prisons, but should remain voluntary. The best way to do this is to offer access to low cost or free nicotine replacement therapies and cessation programs. These programs need to take into account the characteristics of the prison population, for example, by being tailored for people with mental illness and multiple drug addictions (p.176). While smoking continues to occur in prison it is very important to separate smokers and non-smokers and ensure that staff are not exposed to cigarette smoke. It does not seem realistic to ban smoking indoors while people are confined to their cells for an average of 14 hours per day, but there could be smoking and non-smoking wings and designated outdoor smoking areas for when people are outside. Boredom and inactivity need to be substantially reduced if the prevalence of smoking in prison is to be addressed in a meaningful way. People need opportunities to undertake work and education and to exercise. Reducing the amount of time spent in cells will assist in rehabilitating people, as well as reducing smoking and contributing to better overall health outcomes. The case for reducing the prevalence of smoking amongst the prison population is compelling. It should, however, be borne in mind that smoking is a legal activity that is only regulated in the community to the extent necessary to prevent harm to others, and people in prison retain all of their human rights other than those necessarily limited by imprisonment (such as the right to freedom of movement). Smoking bans are therefore a disproportionate response, and one that, based on overseas experience, is unlikely to be effective. A more commonsense approach that both takes into account the nature of the prison environment, and seeks in an appropriate manner to modify that environment, is therefore required. Nick Ralston, ‘NSW Prisoners to be Banned from Smoking’, The Sydney Morning Herald (Sydney), 30 September 2013; Greg Kelton, ‘Smoking to be Banned in South Australian Jails’, The Advertiser (Adelaide), 31 May 2011; Denis Napthine (Premier), ‘Victorian Prisons to go Smoke Free’ (Media Release, 14 November 2013); Calla Wahlquist, ‘Smoke-free prisons blow for basic rights’, The Examiner (Hobart), 5 June 2013. Florea v Romania  ECHR 37186/03; Elefteriadis v Romania  ECHR 38427/05. See the Scottish case of CM, Re Judicial Review  ScotCS CSOH_143 (27 August 2013) and the New Zealand case of CIV-2013-404-000351  NZHC 1702 (8 July 2013). Categories: Prisoners | Tags: Anita Mackay, Australian Prisons, Smoking Bans | Permalink.